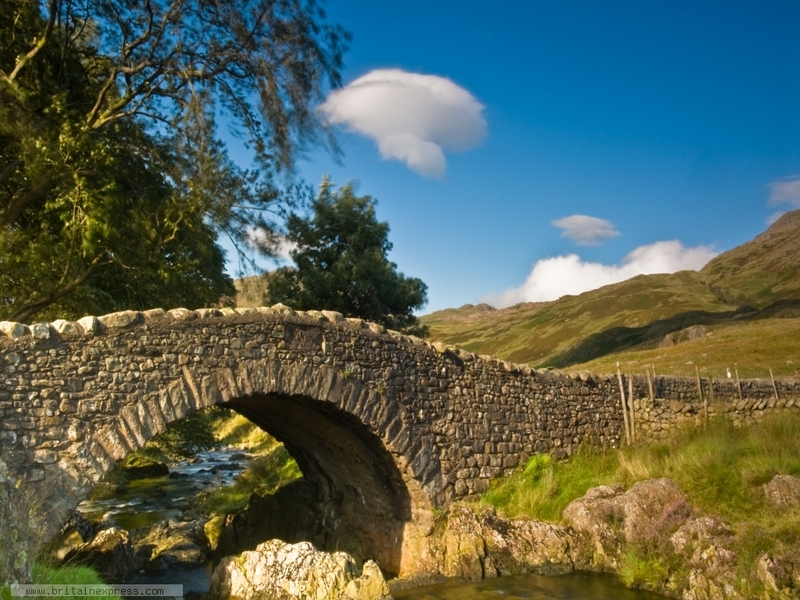 This picturesque old bridge across the River Duddon is a Lake District landmark. It stands at the hamlet (little more than a farm, actually) at Cockley Beck, at the foot of Hardknott Pass. On the other side of the pass is a Roman fort, offering wonderful views over Eskdale.